In December 2016 Les Grands Ballets had The Nutcracker filmed for CBC. 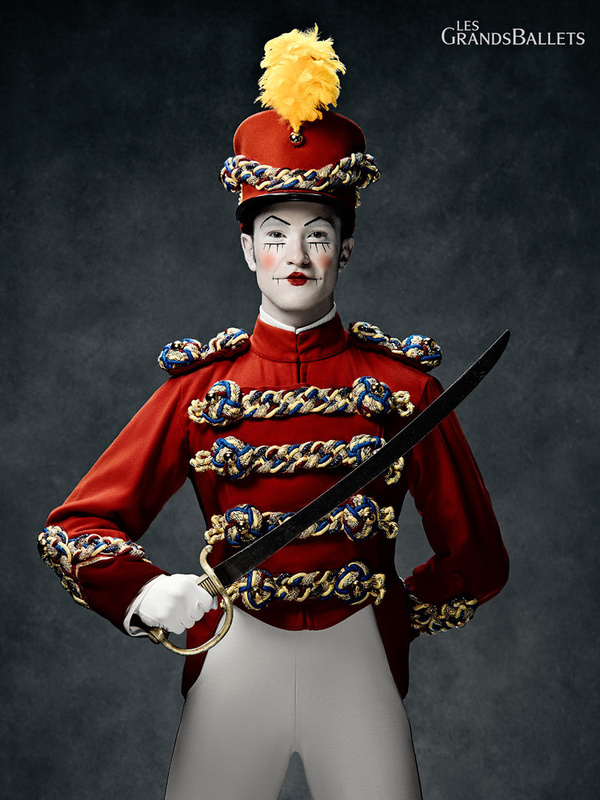 Make Up For Ever was doing, well, make-up and Les Grands Ballets thought it would be a great opportunity to add images of 7 Nutcracker characters to their advertising portfolio. I had my set up right backstage of Salle Wilfrid Pelletier at Place Des Arts. Since filming full performance was in priority, I was given generous 10 minutes per dancer. Lot's of pressure always makes it more fun, at least for me. I shot the images against my blue custom painted canvas and then in post I had to match the colour to the client's specification.